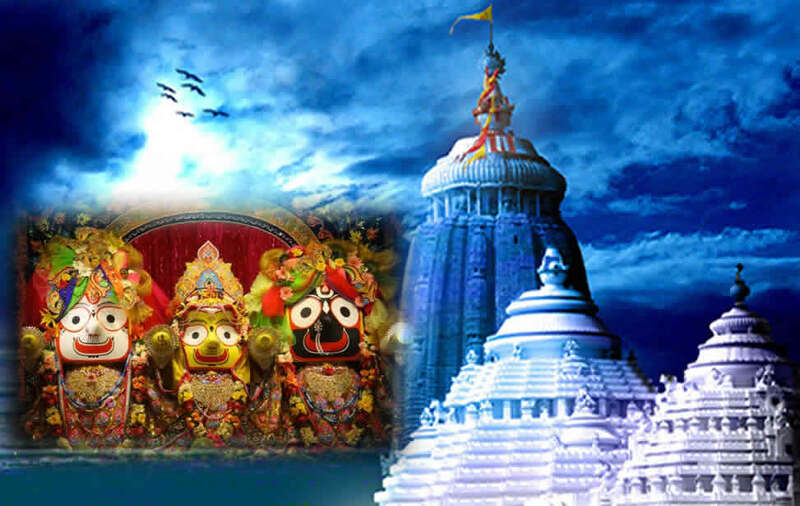 The greatest attraction of Puri is the world famous temple of Jagannatha. 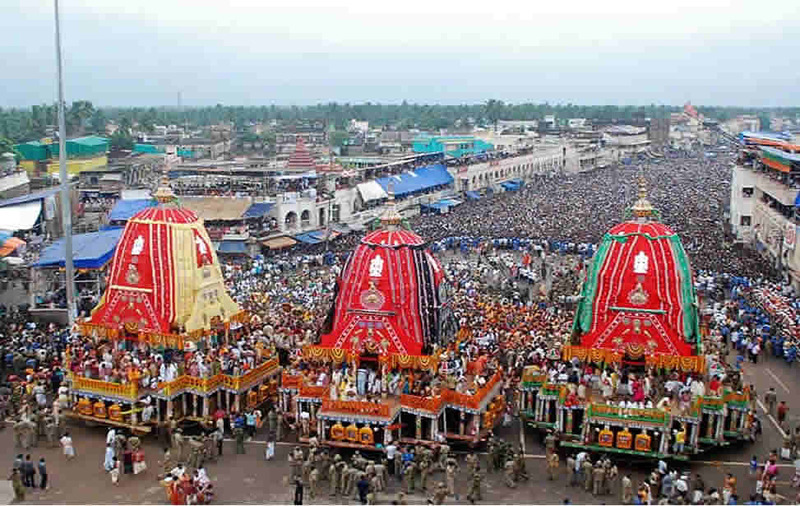 It is known by many , names, viz., the Puri temple, the Srimandira, the Bada Deu1a or simply, the Jagannatha temple.The temple of Jagannatha is one of the tallest monuments in the entire. sub-continent of India and its height is about 214 feet from the ground (road) level. It stands on a 'raised platform of stone, measuring about ten acres. It. is located in the hear! of the town and presents an imposing sight. The temple is bounded by two compound walls, the outer one known as Meghanada Pracira & the inner one known as Kurma Pracira. The present temple was built in the 12th century A.D. The temple structure is full of excellent carvings and lovely pieces of sculpture and is a fine specimen of Kalinga style of architecture. It is now maintained by the Archaeological Survey of India. Only orthodox Hindus are allowed to enter into the Temple. But the others can see portions of the enclosure from the top of the Emar Matha building, located near the east facing gate of the temple. 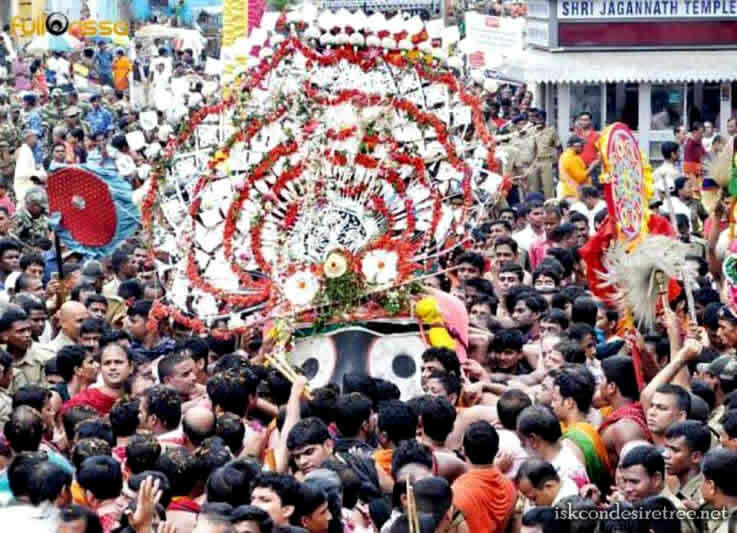 The largest crowd in Puri is seen during the Car Festival of Jagannatha which takes place every year some time in June-July. 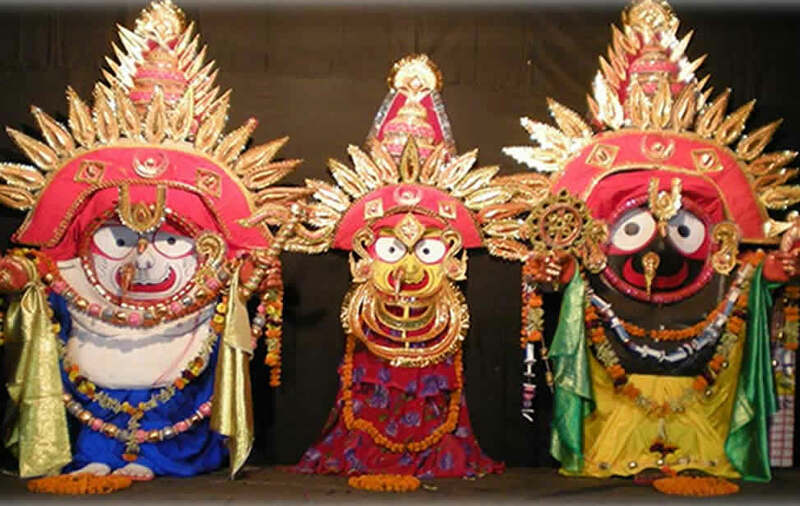 Jagannatha of Puri is strikingly different from all other deities worshipped by the entire Hindu world, mainly for the reason that Jagannatha represents all the gods and goddesses known to the entire Hindu world, either directly or indirectly. He is considered to be the highest object of worship by the followers of all the religious cults that come within the purview of Hinduism. For example, he is Siva for a Saivite, Ganapati for a Ganapatya, Kalika for a Sakta and so on and so forth. This kind of integration of religious cults and creeds belonging to Hinduism is not to be seen anywhere else.